Why does the NHS treat leg ulcers primarily using compression bandages, when it is not the most effective treatment for the problem? Compression bandages are the most common treatment for leg ulcers, but they treat the symptom (ulcers) not the cause (venous insufficiency). Leg ulcers affect an estimated 500,000 adults in the UK, so it’s a big problem. The recommended treatment is compression bandages, which place pressure on the wound and help circulation through healthy veins. Yet compression does little to address the underlying issue and failed leg ulcer treatments cost the NHS an additional £2-3 million a year. So why isn’t the NHS addressing the underlying cause of varicose veins? EVLA/EVLT (endovenous laser ablation) is a fast and effective treatment which can get rid of varicose veins quickly by destroying the malfunctioning veins so that the blood diversts through healthier veins. This would treat the underlying cause, allowing leg ulcers to clear up. 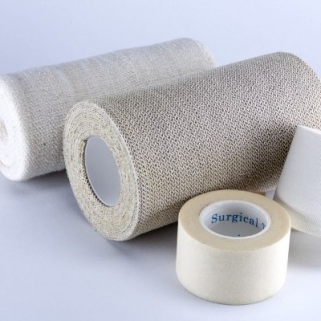 The fact that compression bandaging is ineffective leaves many patients frustrated and disappointed. Varicose vein removal treatment is a solution for leg ulcers, as it gets to the root of the problem by destroying bad veins and improving blood flow to the area. While there is little NHS availability, treatment is available in the private sector. Cosmedics’ private London Vein Treatment Centres offer the latest advanced laser, chemical, mechanical and surgical treatment options. These treatments can be done relatively quickly as only local anaesthetic is required and are available on a ‘walk in walk out’ basis with no overnight stay. Cosmedics Skin Clinics offer private treatment for thread veins and varicose veins at their London Vein Treatment Centre. They also offer varicose vein ultrasound scanning for proper diagnosis of any ‘underlying’ vein problems. For more information or to book a consultation, please complete the form on this web page or call 020 7386 0464.